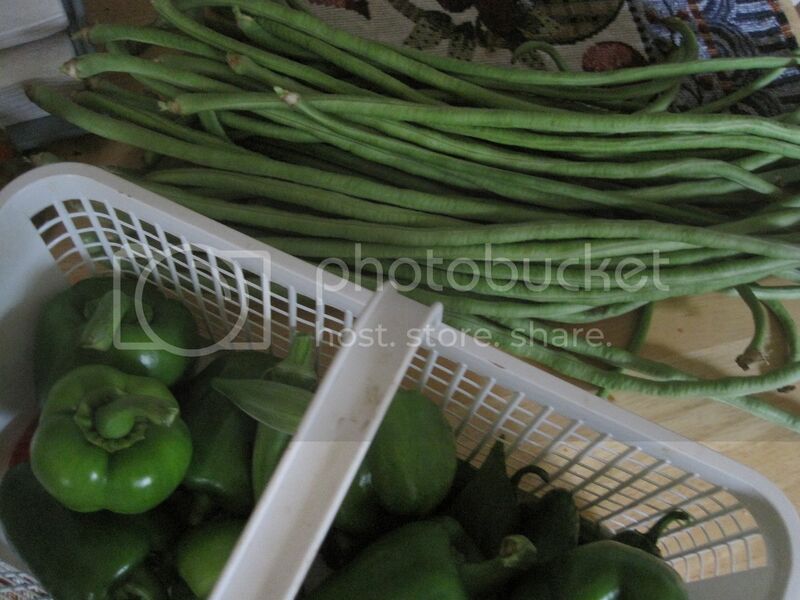 The longs beans we planted in the garden is now at its peak and we have been harvesting quite a handful daily. 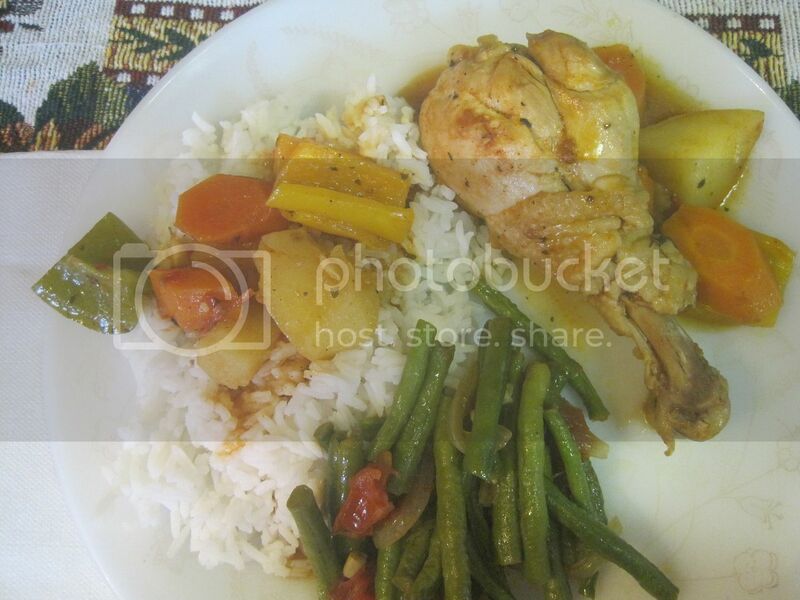 The photo below is what we picked last Sunday morning along with the peppers which I used in the chicken stew that accompanied this side dish. 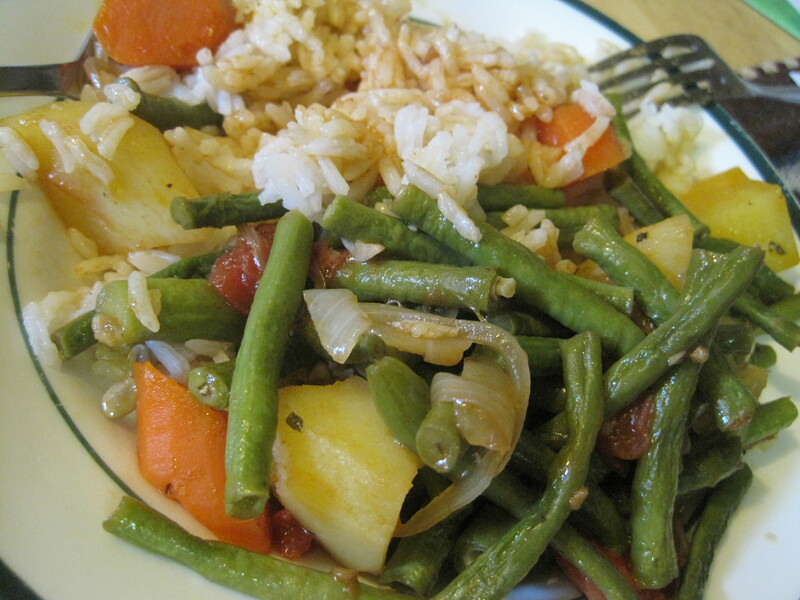 My daughter whose plate that is in the first photo above, ate her dinner without meat, just this sauteed beans over rice with some of the gravy and potatoes from the stew. My plate, with a little bit of everything, is below. 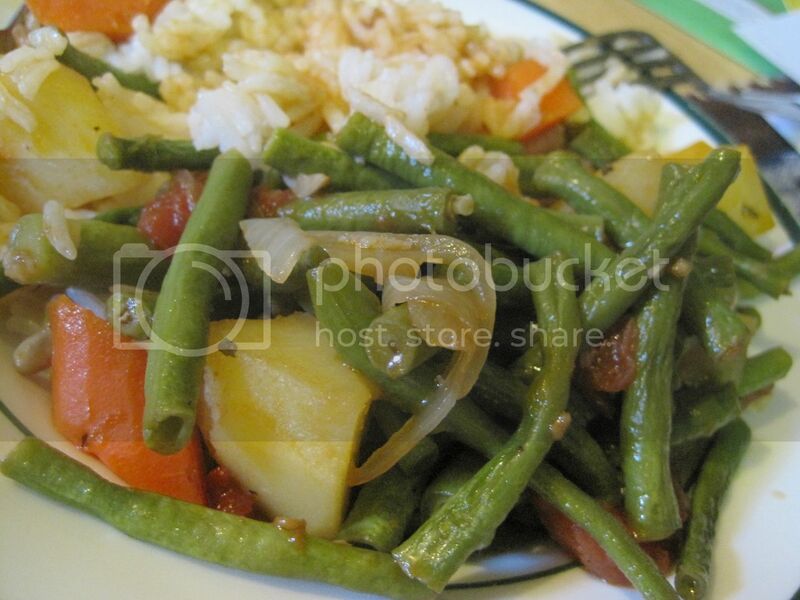 This dish is a simple saute' of long beans, tomato, garlic and onions with oyster sauce and can be used as a side dish to any meat or by itself for those wishing only a vegetarian meal. Heat a wok or skillet with a lid and add the oil. Add garlic and cook until fragrant. About a minute or two without burning. Add onions and tomatoes and cook for another minute until they start to wilt. Add the long beans and oyster sauce and stir. Add the small amount of water and cover the pot. Let it cook for five minutes or until the liquid had evaporated and it starts sizzling again. Sprinkle some black pepper to taste, and stir to mix well. Turn off heat and serve.